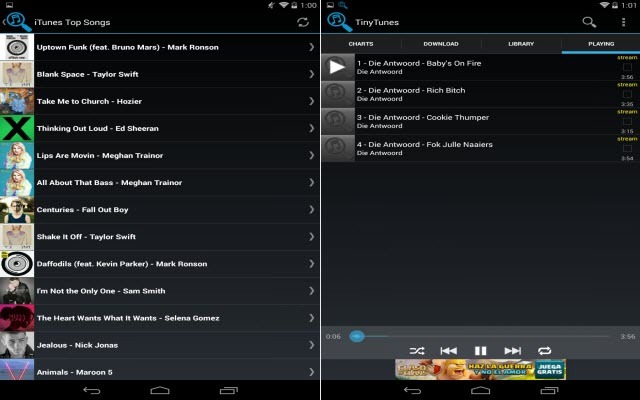 TinyTunes is an app that lets you stream hundreds of thousands of songs hosted on seven different servers, right from your Android device. The only thing you need is an Internet connection, either through WiFi or 3G. TinyTunes works in a simple but effective way: you just have to type in the name of the artist or song you want to listen to, and in seconds you'll see the results.